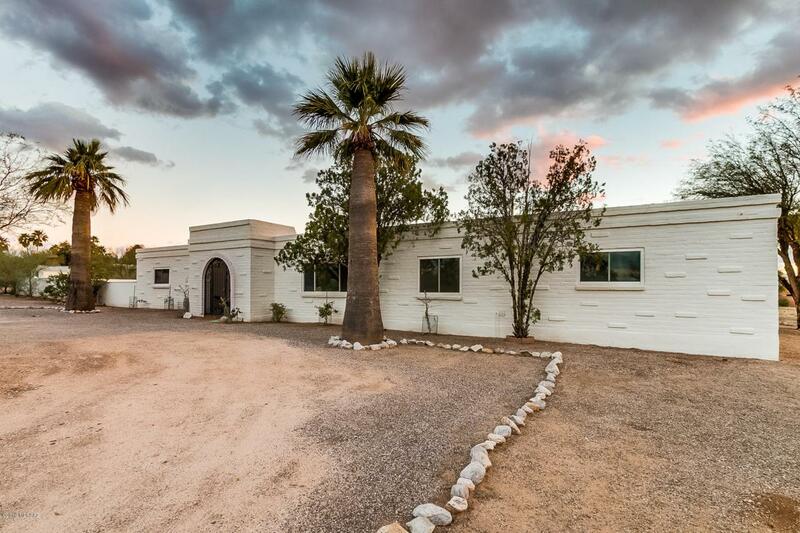 This Beautiful UPGRADED 4BD / 3BA Adobe home is 2,949 SqFt and sits on a corner lot with nearly an acre of land in Oro Valley with No HOA and many amenities close by. With 3 bedrooms in the main house and 1 in the apartment, this home is perfect for accommodating a multi-generational family, or generating additional income. This home has been upgraded throughout, including all windows and sliding doors being replaced with double or triple pane heat resistant glass.The main house features gorgeous bamboo wood flooring throughout, a spacious living room, formal dining room, large family room with wood burning fireplace, which flows into the Kitchen featuring stainless steal appliances, gas range, quartz countertops and island/breakfast bar.The main house hallway features a bathroom with double sink vanity, 2 large bedrooms, and a master with ensuite bath, all with walk in closet. 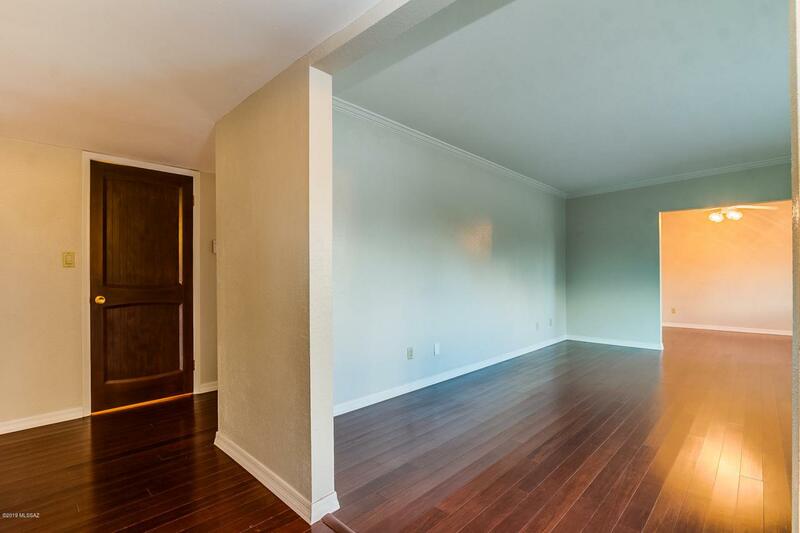 Off of the kitchen is a large pantry with work space and laundry room along with access into the Upgraded Apartment featuring, tile flooring, private bathroom, separate bedroom, and large living area with kitchen, and a mini-split AC/Heat unit. There is also outside access to the apartment and an additional driveway at rear of house to accommodate parking, RV, trailer or toys. If you enjoy woodworking and/or any other hobbies or crafts, you will love the large stand-alone workshop as well. Additional features include, two 2,800 gallon rainwater barrels, and a drip system for outdoor plants. 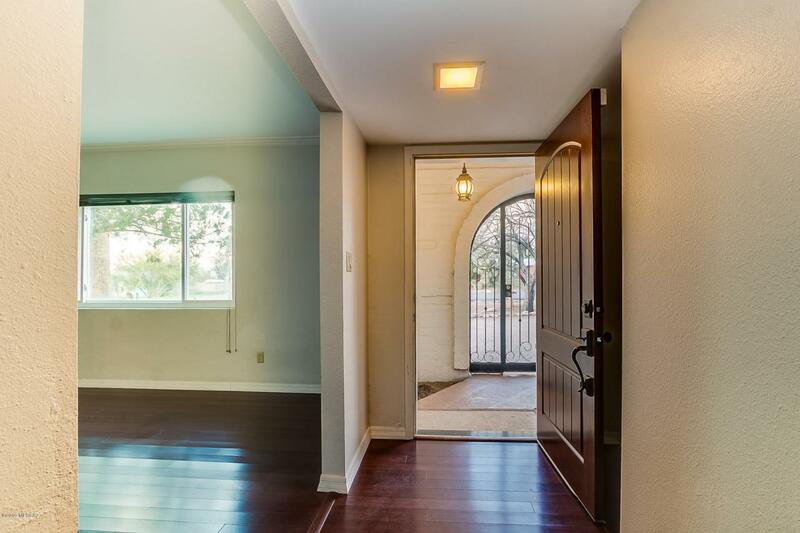 From the main house or apartment, enjoy the expansive walled in backyard featuring a garden/storage shed, large covered patio running the length of the house, basketball court, and "Family-Size" swimming pool. 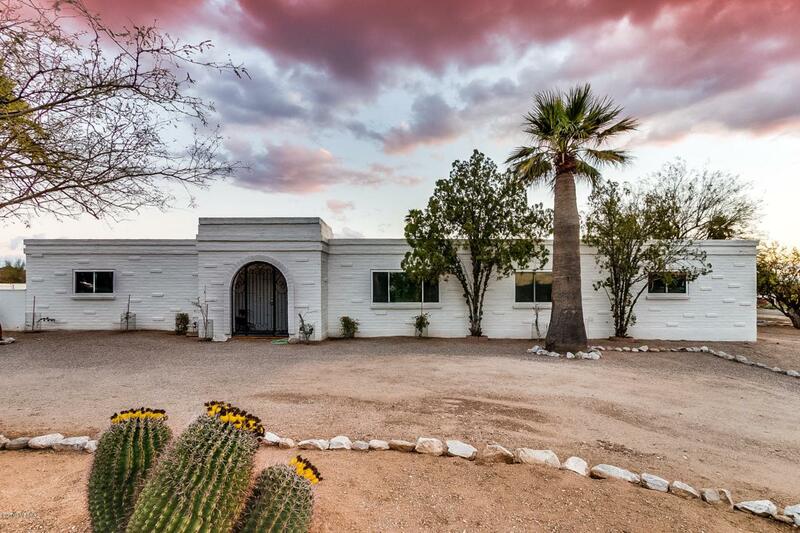 Wether you are entertaining family or friends, or relaxing in the pool as you soak up the spectacular Pusch Ridge mountain view at sunset, this home truly lends itself to become your personal oasis. Courtesy of Omni Homes International. Listing provided courtesy of Omni Homes International. Listing information © 2019 MLS of Southern Arizona.